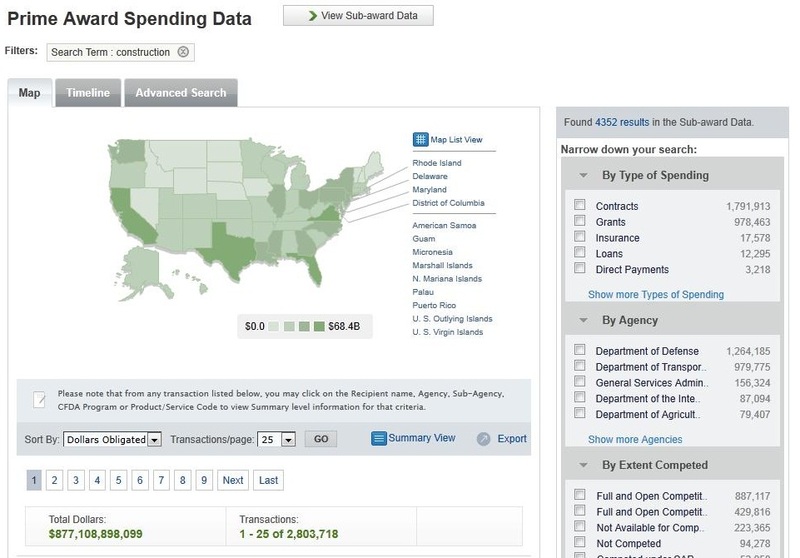 USAspending.gov is a tool available to contractors interested in assessing the profitability of government contracting. There are a number of methods you can use to review the Federal contracting market with different degrees of detail. The most straightforward way is to type in keywords for your product or service in the search bar on the homepage. On the next page, you have a number of options and information available. This is just a fraction of the data available when you search for “construction” on USAspending.gov. 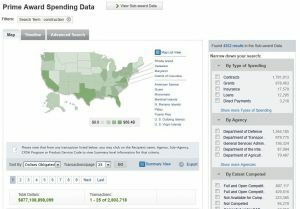 From here, you can drill down by state, agency, type of spending, type of contract, and other criteria, to find the information you need. If you’re new to government contracting or thinking about becoming a government contractor, consider researching your industry on USASpending.gov. If you are a current contractor, the information on this site can help you focus your efforts and evaluate how best to market to Federal buyers.